Congratulation on your upcoming nuptials!!! St. Benedict’s is also known as “The Painted Church”. Construction began in 1899 and the church was consecrated in 1902. It is located in Honaunau, on the Big Island of Hawaii and is listed in the National Register of Historic Places. St. Benedict’s Church is small and quaint and seats approximately 80 people comfortably. Planning a long-distance wedding can be a daunting task so we have created this information sheet to answer some of your questions and get you started in the right direction to reduce your stress levels. In order to begin the process of planning your wedding, please call the church office at 808-328-2227 to speak to one of our staff for information and dates of availability. The office will need the legal names of the bride and groom and your preferred date and time for the wedding. Please do not announce or publish your wedding date until it is confirmed. Music, flowers, and photographers are the responsibility of the bride and groom. Cruise Ship Days: Because St. Benedict’s Church is a popular tourist destination, we generally do not schedule weddings on the same day that there is a Cruise Ship in the Kailua-Kona Harbor. Although cruise ship dates are subject to change on occasion due to weather or other unforeseen circumstances, they are generally accurate 98-99% of the time. Go to http://hawaii.portcall.com. Click on “Cruise Schedule-yearly cruise ship schedules”, then go to “view by island or port” and in the port box, type in “Kailua-Kona”. That should bring up the cruise ship schedule for the year. Be sure you are searching the correct year. You can view schedules up to 16 months in advance. Customary Offering: The offering to use the church facilities for a wedding is $1,000.00. This amount is set by the Diocese of Honolulu. Your donation goes to St. Benedict for the general operations of the church. 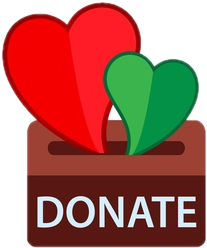 You are encouraged to give a donation to the priest or Deacon who performs the ceremony, but it is not required. In order to reserve a date for your wedding, you will need to send a deposit of $500.00 and the date will be reserved upon receipt. The balance is payable 30 days prior to your wedding date. Church Requirements: Matrimony is a Sacrament of the Catholic Church. The process begins with your local parish priest and the required documents are sent to your local Diocese. From your local Diocese, the forms are sent to the Diocese of Honolulu. Once the Diocese of Honolulu has reviewed all the documents, they will forward everything to St. Benedict’s. We HIGHLY recommend that you go to our Diocese of Honolulu website, www.catholichawaii.org. On the top bar, click on “Resource Center” and select “Getting Married in Hawaii”. That website has information that is essential for you to read as you begin to plan your wedding in Hawaii. It also includes information on obtaining marriage licenses – which you will need to present on the day of your ceremony. We hope that you have found this form to be helpful. You are always welcome to speak to someone in our church office.